Sometimes you need to expand the units on the left to see the build year. If you see ‘null’ in the results under year built, you can just click the plus sign on the left to get all the units of the condo. This will show you the build year of the building. There are some buildings that just show ‘null’ for a build year, but as far as I can tell, these are usually commercial buildings. 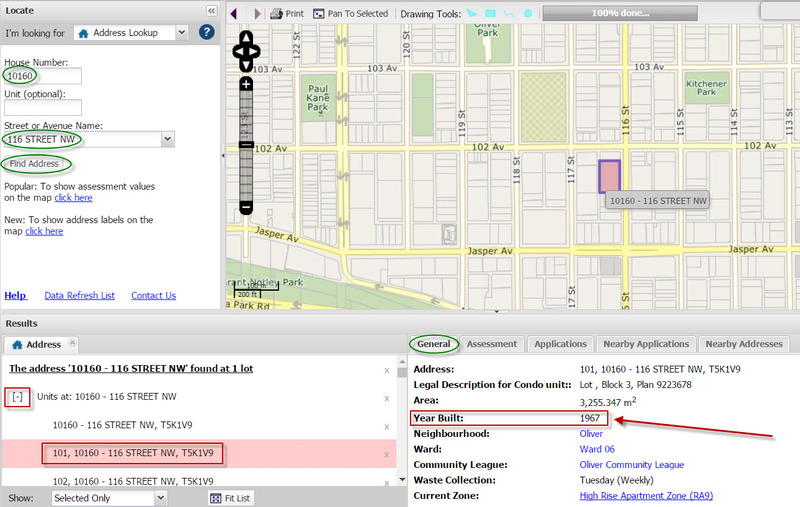 Condos and houses in Edmonton should be easy to search, however.